What would autumn be without squashes? As the weather cools down, the selection and quality of hard squashes available in the store or the farmer’s market is going bananas. Pick up a local acorn squash at your favorite store for this simple ground beef-stuffed acorn squash recipe. Preheat oven to 375ºF (185ºC). Cut the squash in half and scoop the seeds out. Place on the baking sheet lined with foil or parchment paper and roast until the flesh is tender, approximately 45 minutes. Remove and allow to cool to the touch. While the squash is baking, prepare the stuffing. Or do this step ahead of time. 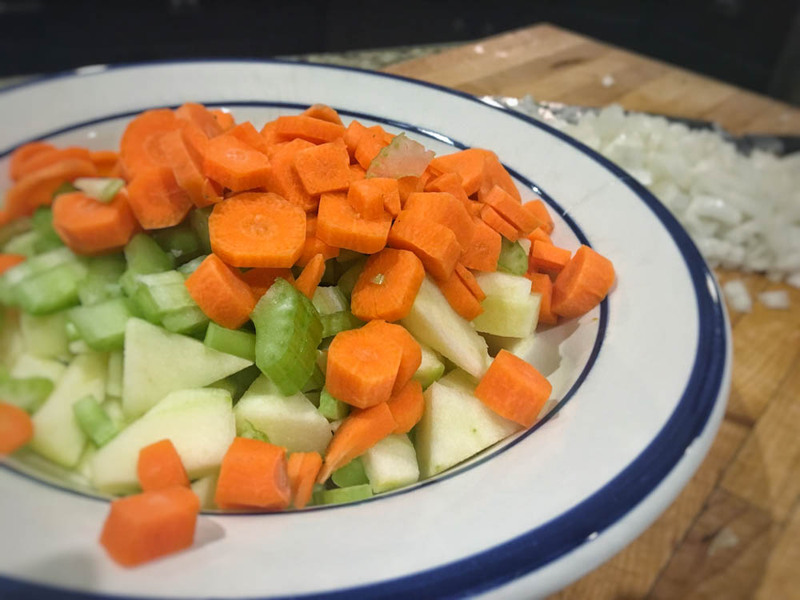 Dice the apple and onion into medium-sized pieces. Slice the bacon into pieces. In a large skillet over medium heat, brown the bacon. Add the onion and cook for 5-10 minutes until softened and translucent. Add the apples and cook for another 5-10 minutes. Remove the bacon / onion / apple mixture to a large bowl. 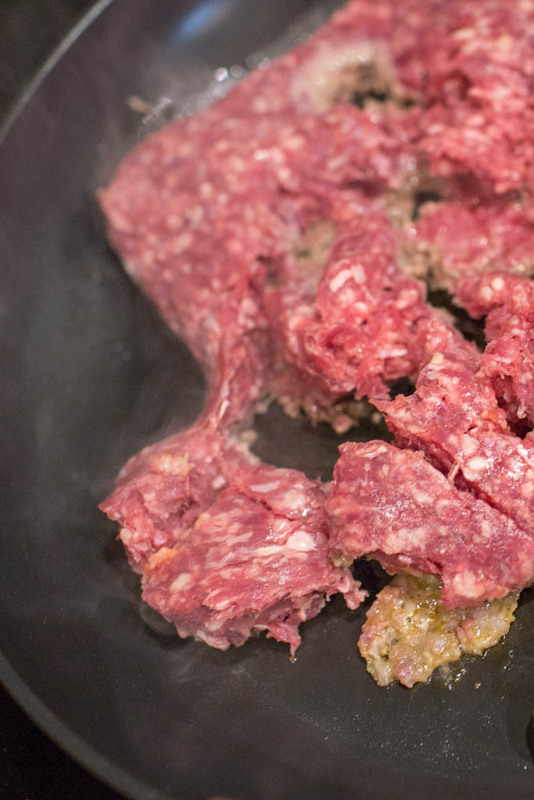 In the same skillet over medium-high heat, brown the ground beef. Add all spices and herbs: rosemary, thyme, fennel seeds, sage, pepper, cinnamon, salt and nutmeg. Pour the ground beef into the same large bowl. Stir to combine. When the squash is cool to the touch, use a spoon to scoop out some of the flesh and mix into the beef. 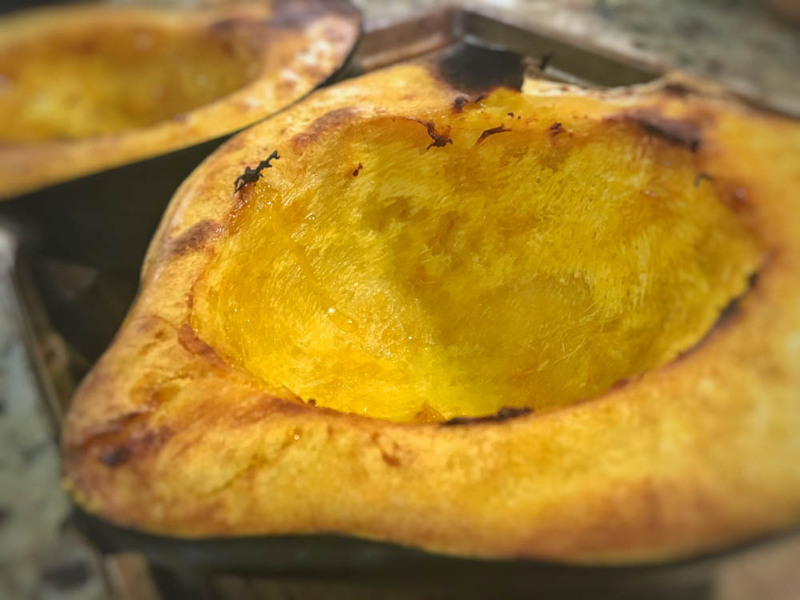 Use a spoon to fill the squash boats with the beef mixture. Return the squash to the oven and bake another 15 minutes at 375ºF (185ºC) until everything is heated through. 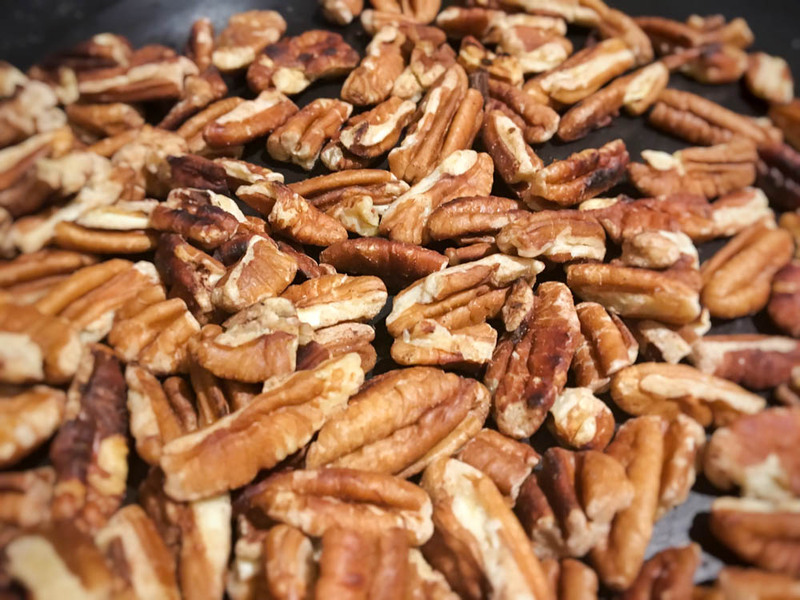 While it is in the oven, toast some pecans in a pan over med-high heat and then crush and sprinkle over each stuffed squash. This entry was posted in Recipe on September 1, 2018 by mroberts585. I know that most people think of lasagna as cool-weather meal but its my go-to when I know its going to be a busy week because its the one dish I can count on my kids looking forward to leftovers. You can use fresh, homemade sauce for this lasagna, pull a batch out of your freezer or use your favorite jarred variety – any of it will work! Using no-boil lasagna noodles, you can easily put this together in less than 30 minutes and store in the fridge for cooking later or pop in the oven and have on the table in an 45 minutes. 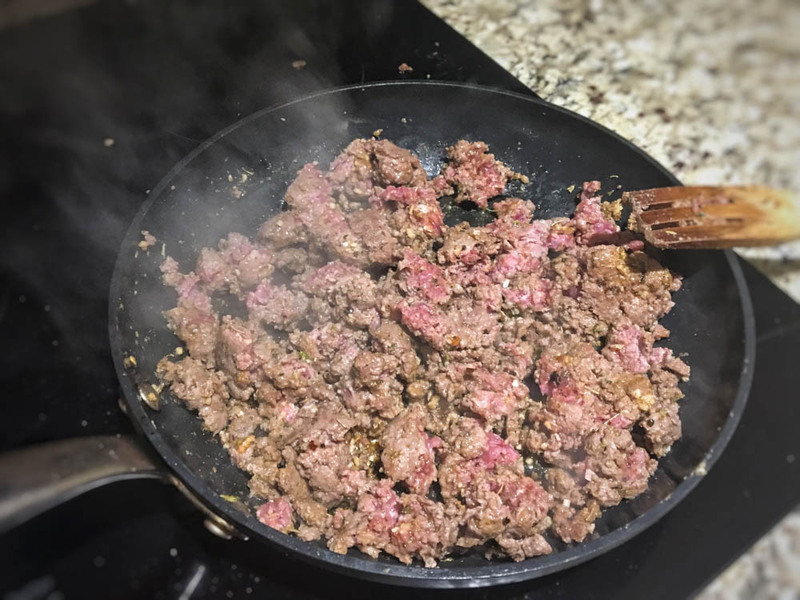 Place the ground beef into a skillet over medium heat, add the garlic, garlic powder, oregano, salt, and black pepper to the skillet. Cook the meat, chopping it into small chunks as it cooks, until no longer pink, about 10 minutes. Drain excess grease. In a bowl, mix the ricotta cheese, eggs, and Parmesan cheese until thoroughly combined. Place noodles side by side into the bottom of a 9×13-inch baking pan; top with a layer of the tomato-basil sauce, a layer of ground beef mixture, and a layer of the cottage cheese mixture, and sprinkle with mozzerella. Repeat layers twice more, ending with a layer of sauce; sprinkle top with mozzarella cheese. Cover the dish with aluminum foil. Bake in the preheated oven until the casserole is bubbling and the cheese has melted, about 30 minutes. Remove foil and bake until cheese has begun to brown, about 10 more minutes. Allow to stand at least 10 minutes before serving. 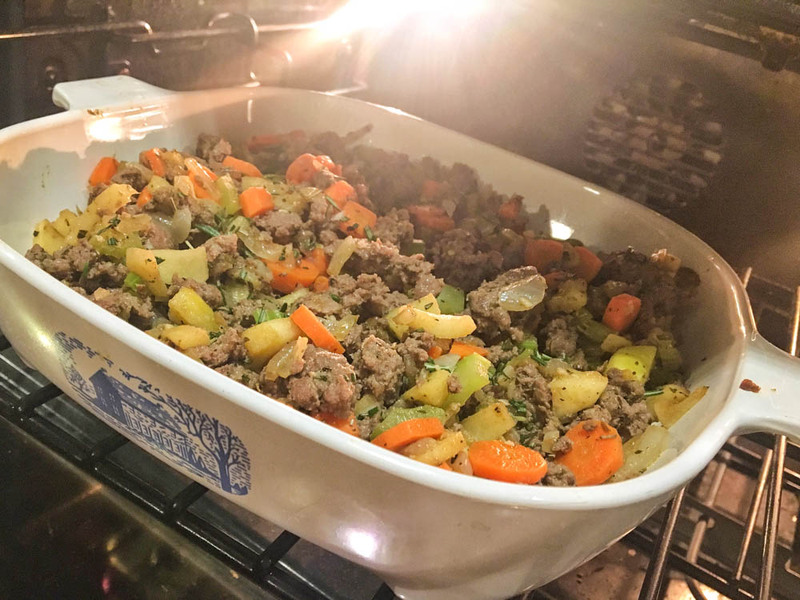 This entry was posted in Recipe on May 26, 2018 by mroberts585. Flank steaks are known to absorb marinades extremely well, however, our grass-fed beef has such bold flavor we like to cook it up with just a little olive oil, salt and pepper. This one was cooked for medium rare at a temperature of 135° under the broiler, served with a side of mashed potatoes and green beans. The all-American dinner. Best marinades feature acidic ingredients like citrus juice and red wine or sherry vinegar. Others include soy sauce, ginger, garlic, chilies and onions. Common dishes include fajitas, homemade beef jerky or on its own. Share your favorite preparation of a Rocky Hill Farm & Beef flank steak! This entry was posted in Recipe and tagged flank steak, grass-fed beef on March 22, 2018 by mroberts585. Several years ago, consumers often paid more and ended up with tough and bland cuts. This left some negative connotations for the grass-fed beef industry. It turns out that it is likely that these sub-par cuts came from inexperienced farmers. This is what you need to know to make sure you get the most flavorful and tender grass-fed beef . Most cattle spend their first months consuming predominantly grass and mother’s milk. After that, grain-fed cattle are fed grain to speed weight gain, allowing them to be slaughtered at 18-20 months. 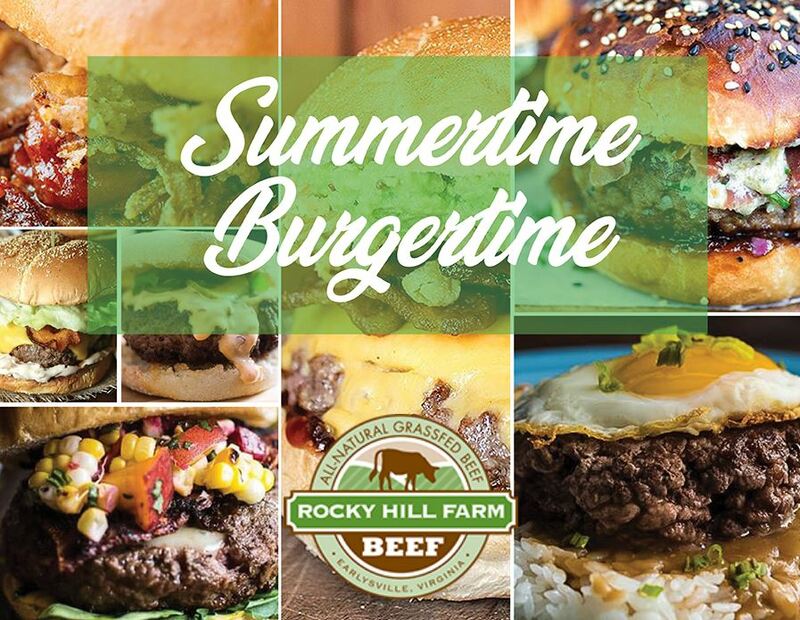 Grass-fed cattle allow their cattle to roam freely, only grazing on grass and are slaughtered between 20-28 months. These extra months are what make the most difference in the flavor. Older cows mean more fat marbling and rich color that adds to the flavor. Make sure the producer has chosen cattle that are meant to roam continuously, grazing the fields. Certain cattle are bred to flourish on grass alone. (British versus European breeds). This free movement, continuous greenery, fresh air, and sunlight adds to the rich and earthly flavor of the meat. Watch out for the dubious spins some producers put on the labels. Pasture raised, for example, means they start of grass-fed (as they all do) but are grain finished. This is no different than grain-fed beef – other than they may have a little more room to roam. Follow the same recipes for mature grass-fed steaks cook as you would conventional well-marbled ones. Whether fresh or previously frozen – bring the meat to room temperature and pat dry before cooking. This way the pan doesn’t cool when the meat makes contact. Keep it simple and allow the natural flavors of the beef to come out. No oil or butter needed; as the steak hits the heat, the fat begins to melt, coating the mean and the pan. Just a slight dusting of sea salt and you are all set. Sear in a hot pan. The hotter the pan, the faster the sear. Be sure sear both sides plus the edges – this ensure the juices stay inside. Good rule of thumb is 1 minute each side and then about 2 minutes searing the edges. Turn off the heat and allow the meat to sit about 2 minutes per side. Depending on the thickness this can vary; check the temperature to determine if it is cooked to your liking (rare, medium, well-done). Put on cutting board and cover with hot pan (preferably cast iron) while the meat rests for another 5-10 minutes so the juices can redistribute. Make sure you purchase from a reputable farm or butcher who can provide all the information you need on how the cattle was raised and recommend a cut that is right for you. This entry was posted in Resources and tagged grass-fed beef, purchasing on November 17, 2017 by mroberts585. The best recipe is sometimes the most simple recipe. Like this easy grilled Rocky Hill Farm & Beef New York strip steak recipe. Enjoy the flavor of the grass-fed beef with just a little salt, pepper, and sear marks. It couldn’t be more simple – or delicious. Lightly season both sides with a pinch of salt and pepper. Rest for 15-30 minutes (if you can wait that long). Place steaks on hot preheated grill (450°F to 650°F) for approximately 3 minutes per side to make sear marks with the lid open. Depending on thickness of steaks and desired doneness, you may also rotate the steaks about 90 degrees to form cross-hatch sear marks. Turn the heat down to medium and move steaks away from the direct heat, either to the warming rack or to the other side of the grill so the steak can finish cooking and close the lid. Check for doneness using an instant-read thermometer (130°F for rare doneness). 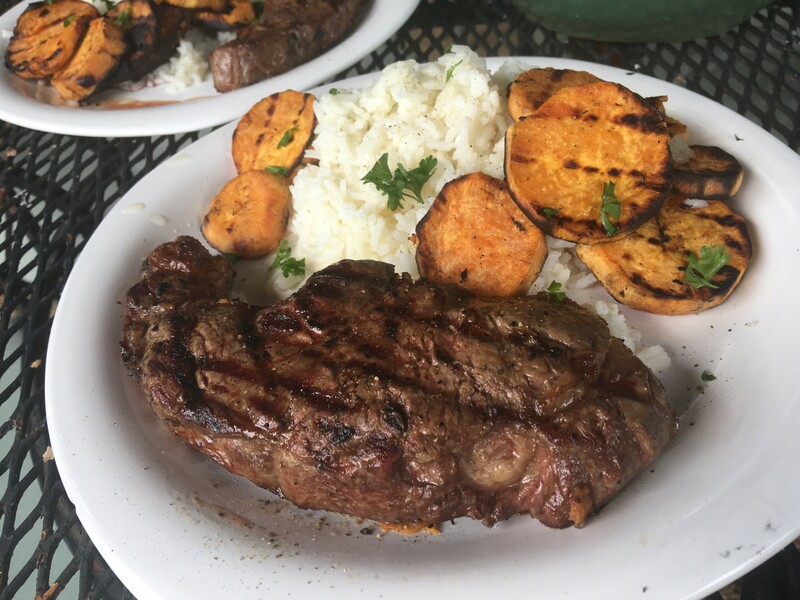 This entry was posted in Recipe and tagged charlottesille, eat local, grass-fed beef, grill, new york strip steak, NY strip steak, recipie on August 18, 2017 by mroberts585.